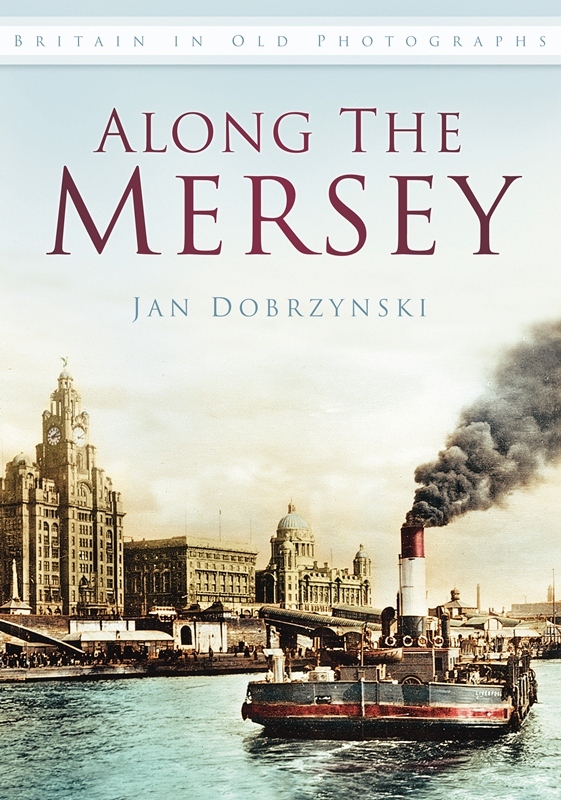 Book publishers, The History Press, kindly sent me a copy of the book Along The Mersey by author Jan Dobrzynski to read and review here on the site. The 128-page book, one of a series for various locations across the country, features historical photographs of not just the river but also of local towns, along with Liverpool. that have a strong association with The Mersey. Starting at the source of The Mersey at Stockport in Greater Manchester the book follows the route of the river to the mouth of the estuary at New Brighton, Wirral. the author discusses the impact the Mersey has had on various towns and villages whose development has to some extent been driven by the river. Each chapter is generously supported with some great old photographs – for instance there are some great old photos of the long-gone New Brighton Tower. Along with the photos on every page the author discusses the history behind the old images. At first glance you might think that some of the images aren’t related to the river. For instance, photos of train stations at Birkenhead are included because the electrified train line goes through a tunnel under the river, connecting city-centre Liverpool with Wirral. Several pages feature the village of Port Sunlight which was created by William Lever to accommodate workers at his soap works factory. Whilst the history of Port Sunlight is fascinating and the village is beautiful the author perhaps could have done a little more to tie-in the village with the river. The book features some excellent historical photographs of the Runcorn-Widnes bridge, which I feel is a highlight of the book. The Runcorn-Widnes bridge is a significant landmark and as is quite rightly featured. It is not the only road bridge that crosses the river …the Thelwall Viaduct on the M6 also allows cars cross. The book is an enjoyable, easy read. You can order a copy of Along The Mersey directly from The History Press.